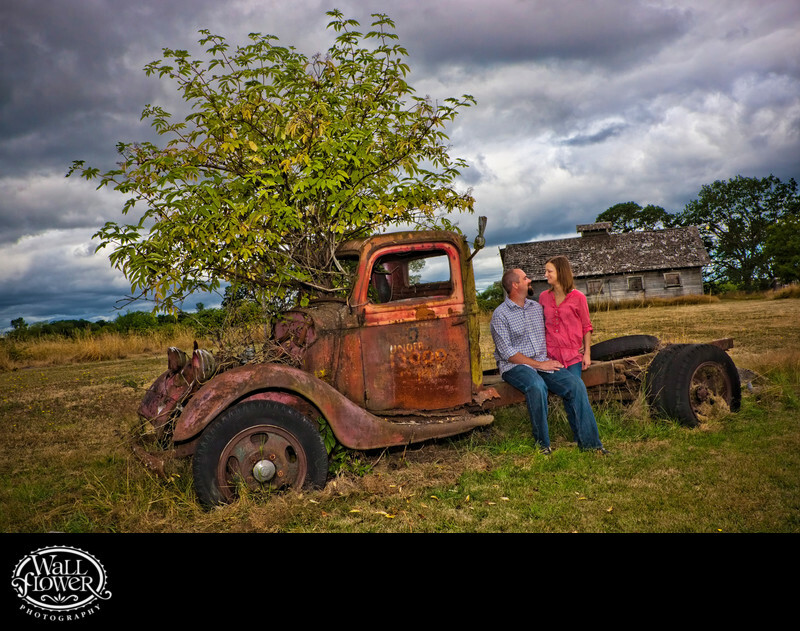 This man and woman got permission in advance to come onto some private property in Spanaway, Washington, near their home as part of their engagement portrait shoot. We had a great time shooting by the ancient oak trees and decrepid barn that you can see in the background, and then to end with this amazing rusty old truck. It's been in that position for so long, there's a tree growing through the truck and out the missing windshield! The stormy clouds in the sky and the weathered barn in the background add a surreal look to the photo, enhanced with a little Photoshop magic of my own.